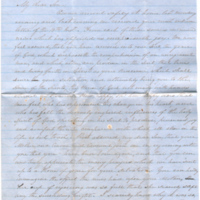 Young’s mother is writing him to congratulate and also express her excitement concerning Young’s complete conversion to Christianity. 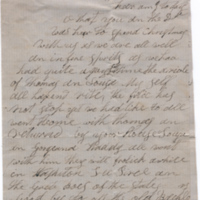 The letter goes into detail describing the importance of accepting “the Redeemer” into one’s life. P.M.B. 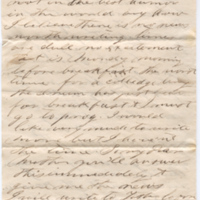 Young writes a quick note to his mother about West Point, breakfast, and school. 2 handwritten pages. 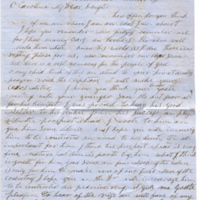 Elizabeth Mills writes to her daughter of how proud she is of her and the children, her upcoming travel plans, and general gossip. 4 handwritten pages.